Free for All to Attend!!! Ms. Luna Petty is a licensed mortgage broker, journalist, community youth and housing advocate. Luna focuses on the financial investment longevity and planning. Presently serves as a Founding member of the Board of Directors for Ideal Youth Inc. As a journalist, Luna also contributed regularly to Crown City News print edition, an on-air reporter, and previously a columnist for the Pasadena Journal on-line. 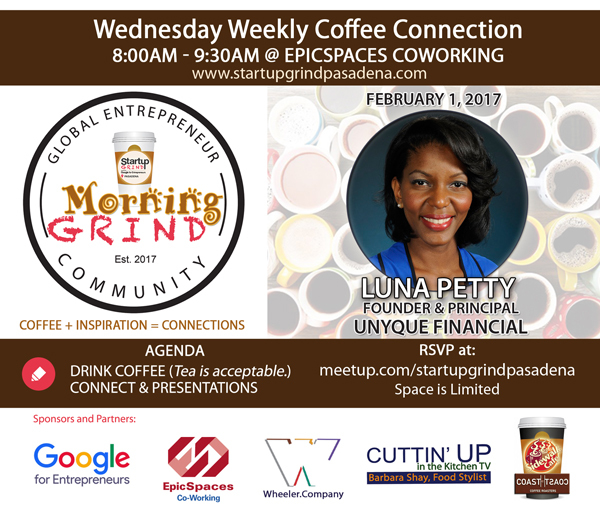 Wednesday Morning Coffee Connection from 8:00am to 9:30am at EPICSpaces CoWorkingAll are welcome to attend. 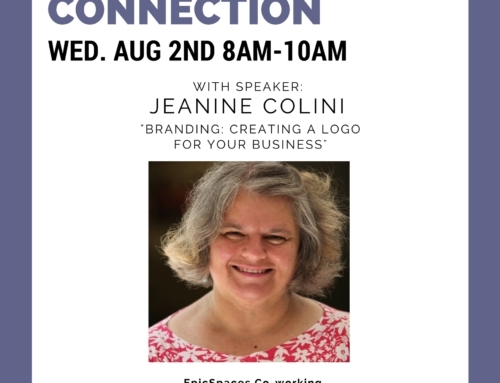 Our free weekly friendly & informal business community meetup is a great way to make connections, nurture and build relationships within our community. We will have short presentations by local entrepreneurs, local professional and even have special event sessions. We all together can Grind, Succeed, and Shine! See you there!! !